Breaches Like Equifax Can Be Avoided! Breaches Like Equifax and Deloitte Can Be Avoided! It just takes one breach like Equifax to expose a company to great financial loss and to receive a tainted reputation. 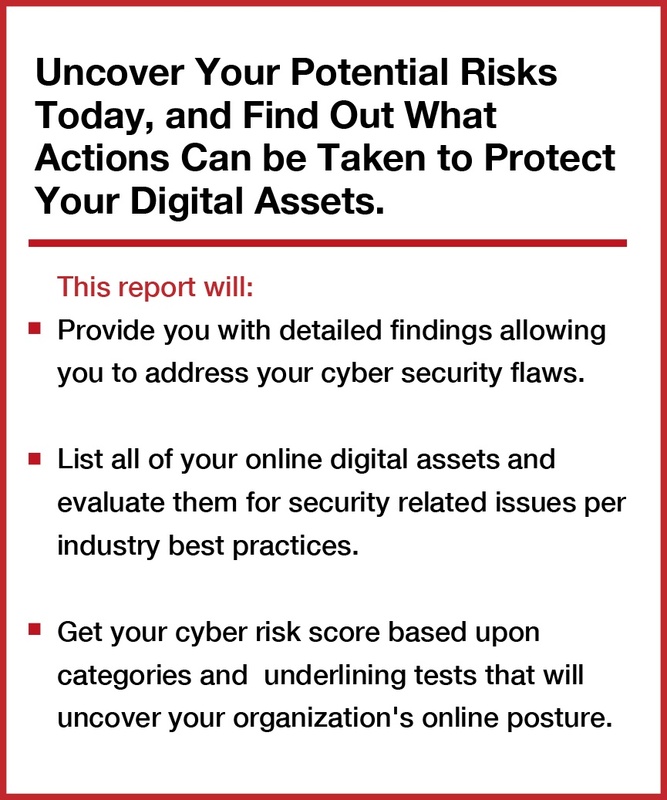 The Cyberscore report highlights your company's cyber security vulnerabilities that may be exploitable by malicious adversaries.